Low Crime Rate in Cary, NC! Over the past couple of years Cary, NC has been so close to getting the title of Safest Place to Live. In the past, they have gotten second in the lowest crime rate in the Nation, as well as ninth place in 2011. This past year they are claiming the title to the lowest crime rate in the nation. 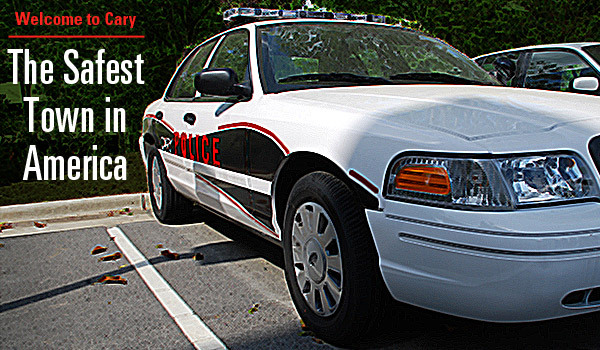 With 146,000 residents the town of Cary has 14.4 crimes per 1,000 people. In 2012 Cary had no cases of murders, 115 reports of violent crimes and 1,917 property crime compares to Raleigh with 1,778 violent crimes and 13,779 property crimes in 2012 alone. Cary has a great suburban atmosphere and now has the plus side of being named the Safest Town in America. If you are looking for a place to live, Cary has a great small town feel, building up it’s downtown area, and now has reached the top of the ladder as far as safety is concerned! Posted on November 4, 2013 by marykim1 •	This entry was posted in Lifestyles of Cary and tagged Cary, Cary NC, Cary NC Real Estate, Crime Rate, Did You Know, Location, NC, Real Estate, Safe Place to Live, Suburban. Bookmark the permalink. ← Hockey Season is in Full Swing!